Before dawn on Sunday, May 13th, the house of Salomé Aranda, Dirigenta de la Mujer y Familia from the Moretecocha Commune, was bombarded with stones by unknown assailants. During the attack, Salomé and her family sheltered inside the house for fear that the assailants were armed and trying to flush them outside. Their neighbors heard the rocks striking the wooden walls of Salomé's house and ran out alarmed to investigate, which caused the attackers to flee into the depths of the forest. 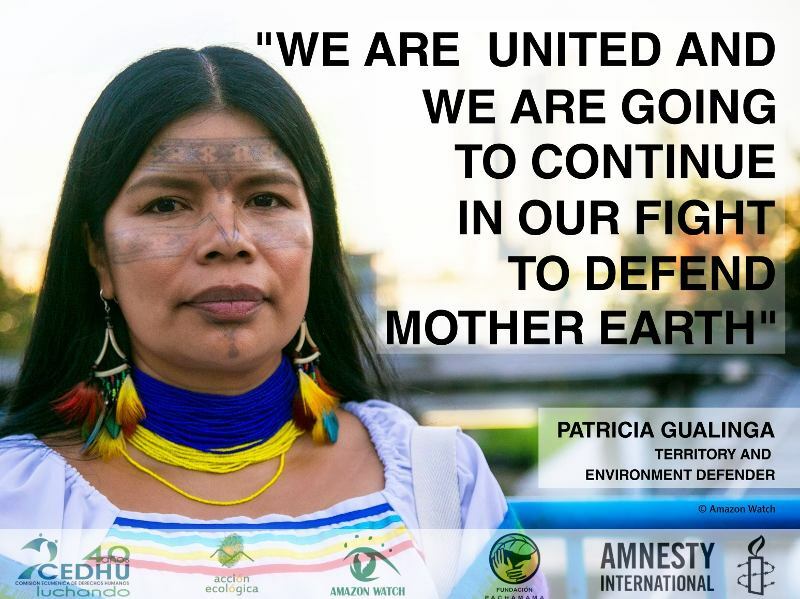 This is the description that Salomé gave at a May 15th press conference in Puyo, where she also expressed: "This attack is a reprisal for the struggle that I've been waging to defend life and our territories against the threat that is still being pushed upon us, fossil fuel exploitation in our territories." 6. 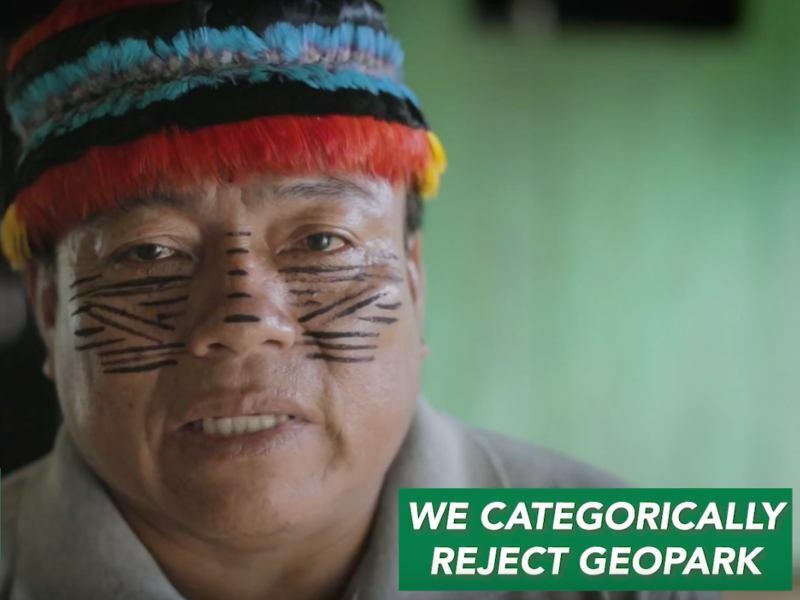 We deeply reject the expansion of AGIP Oil's operations in Block 10 in the areas of Jimpikit y Morete Cocha within Kichwa, Sapara, Sarayaku, Shuar, and Achuar territory. 7. We demand the end to the sources of pollution that affect Villano and Curaray Rivers, in addition to the complete reparations of the territories and communities affected by AGIP Oil in Block 10, after 28 years of operations. 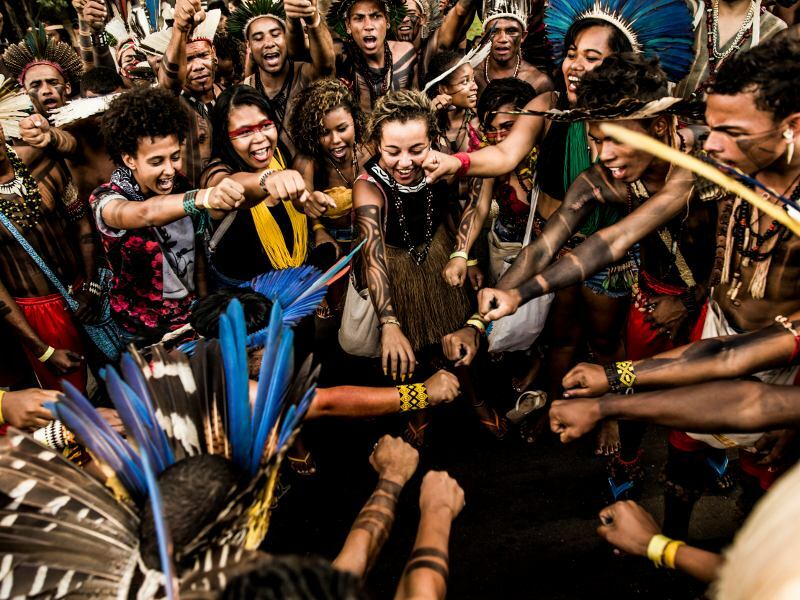 In addition, she initiated the community assembly that was held in Mortecocha and participated in another in Kumay, which focused on rejecting fossil fuel activities by ENI – AGIP in their territories. "After we went to Quito to meet with the president, I started to hear rumors that the oil company was going to take legal action against me. Then I was told that they were following me and that they know about the work that I do against the company. Last week, unknown people were asking where I live. The last thing that I heard was that the company plans to end its support for a community health promoter and the minimal support that they give towards our schools. And they told everyone that I was to blame for this." 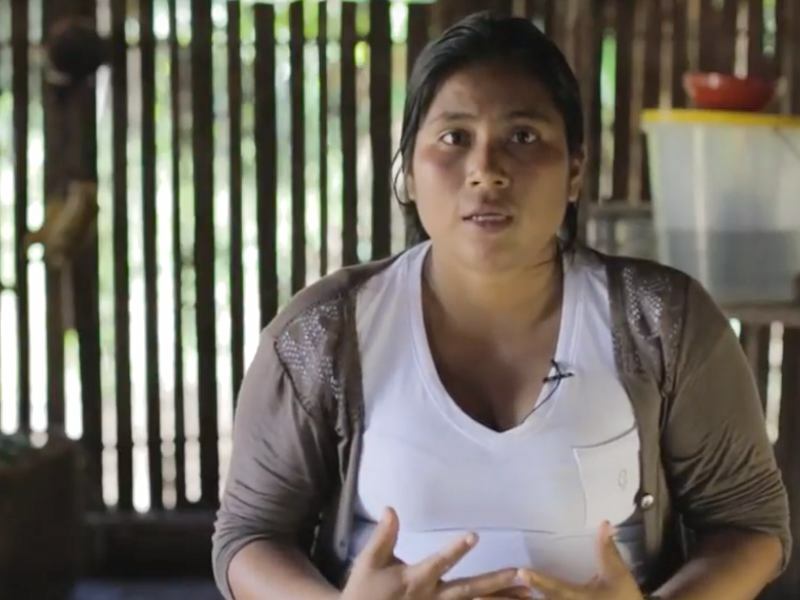 Salomé and her family will be traveling to the community of Moretecocha in the next few days to meet with community leaders there and report on what happened to them. Before we said goodbye, she reiterated, "I'm going to keep organizing, and I'm not going to allow them to continue to manipulate us. I'm fighting for our territory. I'll keep visiting the communities to talk about the problems that this company brings us and about our rights. I'm not going to give up." In 1988, the government of Ecuador granted the first concession for Block 10 – which is located in Pastaza province in the southern central part of the Ecuadorian Amazon – to a consortium made up of AGIP Petroleum (now controlled by ENI), ARCO Oriente INC, and Denison. This was the first oil block to be exploited in this region, and to date it remains the only one. Since the 1970's, most oil activity has been concentrated in the northern Amazon. 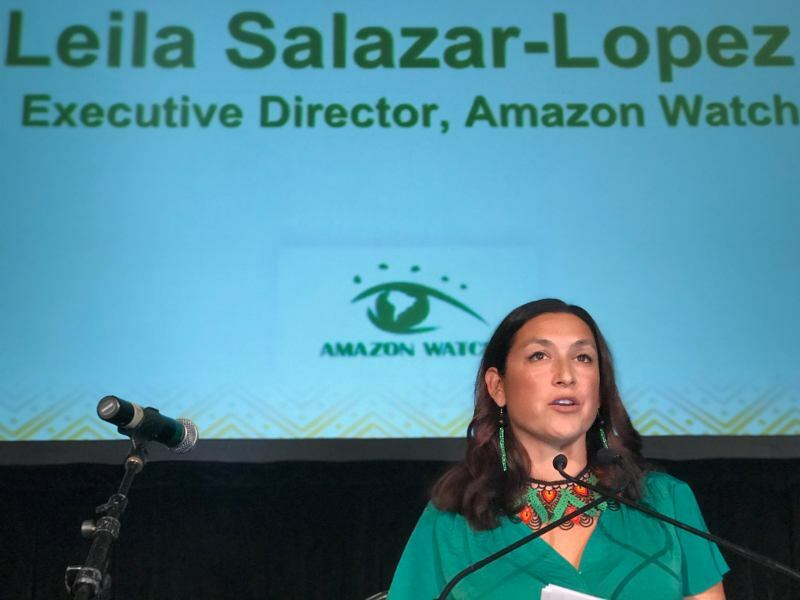 The Organization of Indigenous Peoples of Pastaza (OPIP) and the Confederation of Indigenous Nationalities of the Ecuadorian Amazon (CONFENIAE) immediately began a campaign of resistance to this project. 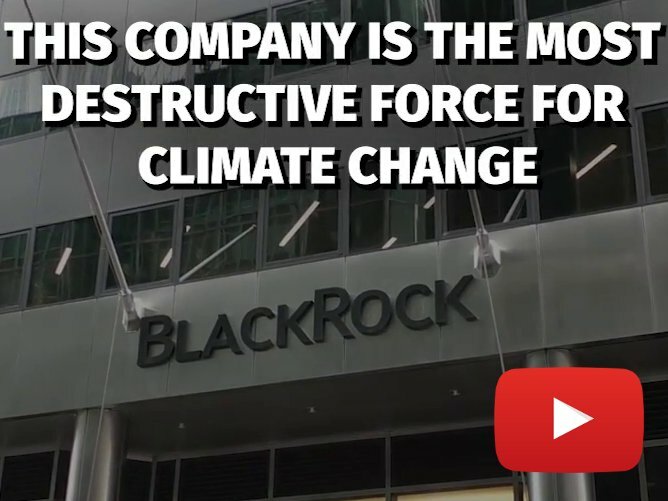 The companies were able to contain this, however, by using strategies to create dependence and promote discord within the indigenous organizations while supporting other organizing spaces whose role is to facilitate the companies' activities in indigenous territories, signing "community support agreements" by which the companies granted economic benefits to indigenous organizations and communities in order to control them. In 1999, the "Proyecto Villano" construction phase in Block 10 was completed and the first barrel of crude oil was exported. In 2000, ENI-AGIP acquired 100% of all shares and took complete control of the Villano field and its seven producing wells. The paternalistic relationship that they created has allowed ENI-AGIP to continue operating in Block 10 despite the fact that the communities there have frequently denounced their destructive social and environmental practices, but these complaints have generally been watered down following some type of company compensation and dismissed without ever establishing their severity. The new Hydrocarbons Law went into effect in July of 2010 and required the Ecuadorian government to renegotiate and sign new contracts with all petrochemical companies. So, in November 2010, ENI-AGIP signed a new contract with the Ecuadorian government for the exploration and exploitation of Block 10. In the negotiations, the company procured a modification to the size of the block so that it now also covered the Onglan, Moretecocha, and Jimpikit fields. The changes to the boundary of the block also affected new zones within the indigenous territories of the Shuar Federation of Pastaza (FENASHP), the Kichwa People of Sarayaku, the Morete Commune, and the Achuar Nationality of Ecuador (NAE), which means that before the new contract was signed it would have first been necessary to obtain the free, prior, and informed consultation and consent of these affected populations, as the Ecuadorian constitution requires. This did not happen. The indigenous populations and organizations were not informed that the boundary of Block 10 had been modified and that it now affected their territories. They only became aware of this recently in 2013, when the Ecuadorian government began a "socialization" process about the enlargement of the extraction operations in Block 10. These "socializations" were rejected by the indigenous organizations, as they clearly were in violation of the "prior" requirement of the right to free, prior, and informed consultation and consent and in any case they did not meet international standards for the exercise of these rights. Additionally, at that time the Interamerican Court of Human RIghts sentence in the Sarayaku v. Ecuador case was still in force, and it required the government to follow strict procedures to obtain free, prior, and informed consent from the Sarayaku specifically before any exploratory activities could be undertaken on their territory as a protective measure to prevent a repeat of the previous violation of their rights. At the end of 2017, ENI-AGIP began to make contact with indigenous organizations by sending them written invitations to meetings to discuss their projects related to future plans for exploiting the Onglan, Moretecocha, and Jimpikit fields, to which these organizations have reiterated their rejection of these future plans for exploration and exploitation of the various fields encompassed by the revised Block 10. FENASHP, in whose territory the Jimpikit field is located, responded to one of these invitations with a letter sent to the head of AGIP Oil Ecuador, the president of Ecuador, and the Secretary of Hydrocarbons, in which they demand that the company, "respect the will of the Shuar people to prohibit fossil fuel extraction in our territory." For its part, the Moretecocha Commune, which represents eight communities, held an assembly on April 17th, 2018, during which they decided to, "strengthen the relationships within communities so that we can better move forward with the struggle against the abuse and discrimination by the AGIP Oil Ecuador company over Block 10." The most recent assembly was held on May 3rd, 2018 in the Shuar community of Kumay and it leaders and representatives from all over the region, including the Sapara Nation of Ecuador, the Kichwa People of Sarayaku, the Shuar Federation of Pastaza, the Moretecocha Commune, the Kumay Center, the Tarimiat Association, and the Shuar communities of Nanki, Pantin, Tuna, and Kawa. At this assembly they declared their, "absolute, radical, and total rejection of any type of intention of entry into Block 10 by the company ENI-AGIP, based on our constitutional rights and the right to resist."